First Stop Fencing, based in the West of Scotland, part of the Total Turfing group run by Gilmour Cameron who has over 20 years experience, supplying all your needs to transform your garden. We offer free advice from the design, products available and how to create the finished garden. 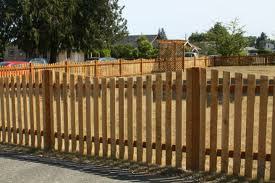 The best way to transform any garden is the use of timber, whether it be a fence, decking or children's play area can all be supplied and delivered by First Stop Fencing. give us a call on 0800 0374425.